Paper Monument #002: Thousands lined Esplanade Avenue to witness the funeral procession for Captain André Cailloux, the one of the early organizers of the Louisiana Native Guards, the first all-black Union regiment of the Civil War. Since its founding 150 years earlier, New Orleans had never seen anything like it: immense crowds of black residents, including members of thirty-some mutual aid societies, thronging Esplanade Avenue for more than a mile to witness the funeral procession of André Cailloux, an African American Union captain who had fallen during the initial assault against Confederate ramparts at Port Hudson, a hundred miles upriver from the Union-occupied city. The charge was prelude to a protracted siege, a downstream complement to U.S. Grant's more famous strangulation of Vicksburg. For six weeks Cailloux's body rotted in Louisiana's liquid heat, as rebel sharpshooters repulsed Union burial details. Not until Port Hudson surrendered on July 8th were Cailloux's remains retrieved. By then the only identifying mark was a ring on a skeletal knuckle signifying his membership in the "Friends of Order," a black self-help society he had helped found. 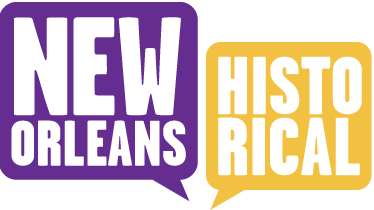 A former slave and self-employed cigar maker who had gained his freedom in 1847, Cailloux exemplified the complexities and cohesiveness of New Orleans mixed-race community of free people of color. Residing below Canal Street, they were artisans, boarding house proprietors and small shopkeepers for the most part. They owned property. A few accumulated real wealth. They established schools, chartered mutual aid societies, sponsored cultural institutions. Cailloux, who was very dark-skinned and proud of it, stood tall in this community. He was one of the early organizers of the first all-black Union regiment to fight in the Civil War--the First Louisiana Native Guards. Callioux's body lay in state on a raised platform in his New Orleans fraternal hall, his sword and uniform resting on the American flag that draped his casket. Two black Union privates assisted the abolitionist priest Father Claude Paschal Maistre, to deliver the last rites of the Catholic Church because the city's pro-Confederate archbishop threatened with excommunication anyone caught ministering to former slaves. Two companies of the Sixth Louisiana (colored) regiment the hearse. Six black captains of the Second Louisiana Native Guards served as pallbearers. And playing the dirge accompanying the procession to the Bienville Street cemetery where Cailloux was laid to rest was a white regimental band from Massachusetts. The immense outpouring of black respect sprang from the deepest wells of gratitude André Cailloux's martydom in defense of African American liberties and universal human dignity was instrumental in transfiguring a war for union into a war for freedom. It also radicalized this distinctive community, girding them for the no less challenging fight for equal citizenship that lay ahead. 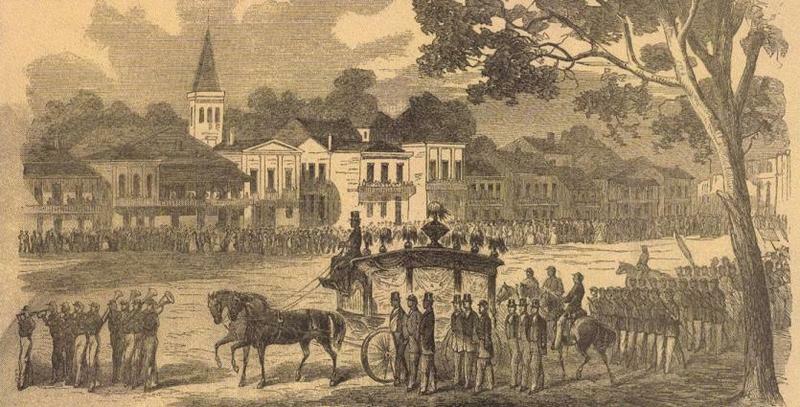 Funeral of Andre Cailloux in New Orleans, July 29, 1863: Illustration from Harpers Weekly, August 29, 1863 ~ Source: Wikicommons ~ Creator: Artist not credited. 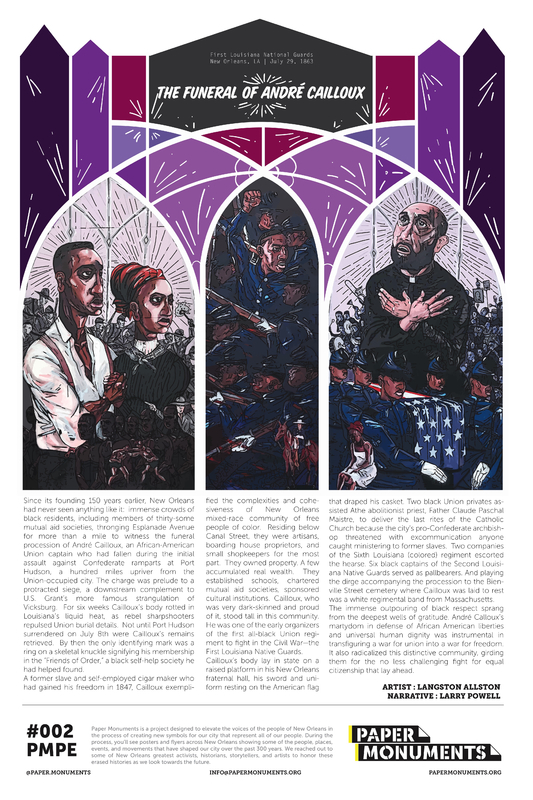 Paper Monuments, Langston Allston, Artist, and Lawrence Powell, Writer, “The Funeral of André Cailloux,” New Orleans Historical, accessed April 19, 2019, https://neworleanshistorical.org/items/show/1379.